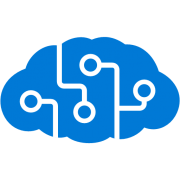 Azure Cognitive Services are a set of APIs, SDKs and services available to developers to make their applications more intelligent, engaging and discoverable. The most popular services support Vision, Speech, Language, Knowledge and Search. Vision - Image processing algorithms to smartly identify and caption pictures. Speech - Convert spoken audio into text, use voice for verification, or add speaker recognition to your app. Knowledge - Map complex information and data in order to solve tasks such as intelligent recommendations and semantic search. Search - Add Bing Search APIs to your apps and harness the ability to comb billions of web pages, images, videos, and news. Language - Allow your apps to process natural language and evaluate sentiment. Machine learning is a data science technique that enables computers to learn from data and experiences and to act without being explicitly programmed. InCycle works with customers to build Artificial Intelligence (AI) applications that intelligently sense, process, and act on information - augmenting human capabilities, increasing speed and efficiency, and helping organizations achieve more. Take advantage of Azure to transform your company’s data to support informed decision making. 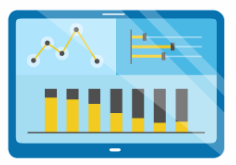 Gain deeper insight into your data to spot trends as they happen. With modern business intelligence (BI) solutions and tools, your entire organization can understand and quickly act on information. Another approach is to embed BI into your apps. With Power BI it's easy to supercharge your applications with stunning and interactive visuals, dashboards, and reports. Regardless, if you are seeking to better mind your data or modernize an app with BI, InCycle will help conceive, design and implement a BI strategy to drive more value, faster decision making and deeper insights. With the availability of an Azure SQL Database Managed Instance or SQL Server in an Azure virtual machine (VM) and the estimated 50% savings, customers are flocking to the Microsoft Cloud. From experience, we know with so many on-premise SQL instances, customers struggle to develop and execute a migration plan. For that reason, InCycle will work with your team to determine the best approach and migration path(s). 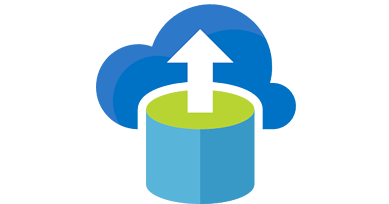 Our team of experts will guide your organization through the thought process and steps required to migrate your database workloads from on-premise SQL to Azure-based cloud services. This includes understanding your database footprint --- through to performing and validating a successful migration. In addition to migrating from SQL to Azure SQL, we also commonly help customers move from NoSQL (MongoDB, Cassandra, HBase, Neo4j, etc.) to Cosmos DB and from an OSS DB to OSS DBaaS. Data is everywhere - yet it seldom drives action or decisions. To realize value from data, it takes a series of steps that includes collecting data from various sources, scrubbing data to ensure usability and ultimately pushing the processed data to a location for consumption. These steps collectively are refereed to as a data pipeline. To support the various data pipeline steps, many tools and technologies can be used. Popular Azure services used in the creation of data pipelines include Event Hub, Data Factory, HDInsights, Data Lakes, Cosmos DB, Cognitive Services, Machine Learning, SQL Data Warehouse, Power BI and many more. While the tool set can be daunting, InCycle's Azure and Data Architects will help design and implement a data pipeline specific to your business goals. In most instances, customers leverage a subset of the available pipeline technologies. The key is selecting the right ones ---- something the InCycle team is skilled at doing. Our goal, is to help you surface the valuable insights buried deep inside your enterprise data.